The window treatments in your home give you privacy, they make your rooms more attractive, and they can make your home a more comfortable place. Maui Window Shutters, in particular, can even improve your home’s energy efficiency, and they’re a very cost-effective way to improve the appearance of your interior design. Window shutters will add a sophisticated and classic look to your home, and that’s only the beginning of the benefits they can offer you. The professional Maui shutter experts at our Maui Window Blinds & Shutter Company can help you select new window treatments that will be a perfect fit for any room in your home. We offer free in-home consultations, during which we can help you select shutters that will meet all of your functional and aesthetic needs. After you’ve chosen your new Maui Window Shutters, we also offer free measurement services. Choosing which shutters are right for your home can be difficult, but our experts can help make the decision easier, and no matter which shutters you choose, you can count on them to be a great addition to your home no matter what its style of interior design. Our specialists can offer you our professional advice and opinions to help you guide you through our collection of shutters. No matter which shutters you choose for your home in Maui, we’ll do whatever it takes to make sure that your totally satisfied with your new window treatments. Interior shutters can be a great addition to either a classic or a modern interior design style. 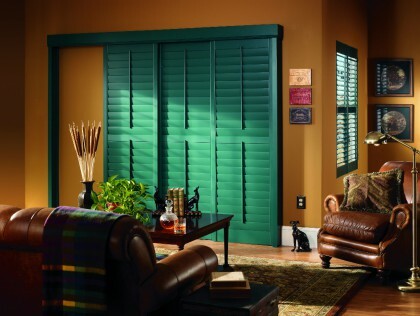 Interior shutters can be made from several different materials, including wood, faux wood, or polycore. Regardless of the material they’re made from, you’ll be able to enjoy their timeless design for years to come. They offer a tremendous amount of control over the light that your windows will let into a room, which can help increase your Maui home’s energy efficiency. 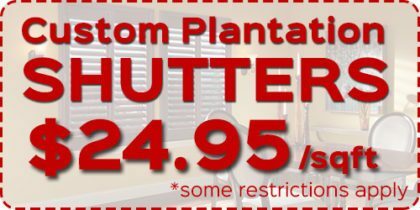 Whether they’re being installed in a dining room, home office, bedroom, or den, interior shutters will be functionally and aesthetically beneficial. Traditional shutter—or Colonial shutters, as they’re sometimes called—were created in the New England states, where they were used mainly for purposes of insulation. Today, however, traditional shutters are typically used for aesthetic reasons. They can make your home look more classical or traditional, but that’s not all that they’re good for. When they’re open, these shutters will serve as mainly decorative features of your Maui home. But when they’re closed, Maui Window Shutters can protect your windows from strong wind gusts or storm debris, and they’ll assist with shedding water from your home. 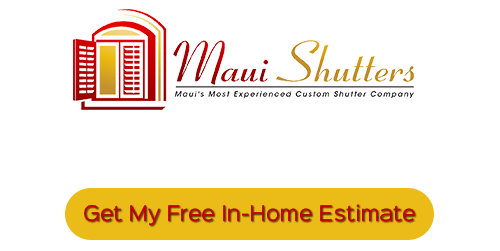 If you’re looking for Maui Window Shutters, call Maui Shutters at 808-495-3434, or fill out our online request form.